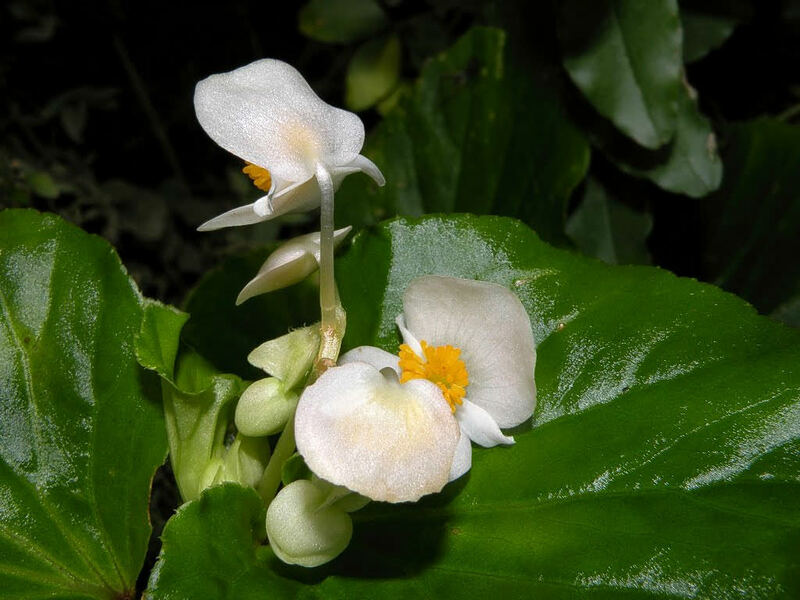 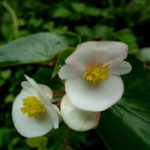 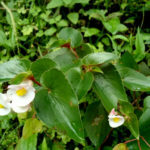 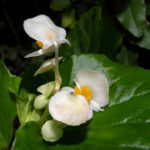 Begonia cucullata is a herbaceous perennial plant up to 18 inches (45 cm) tall and up to 24 inches (60 cm) wide, creating a mound of glossy, succulent green leaves. 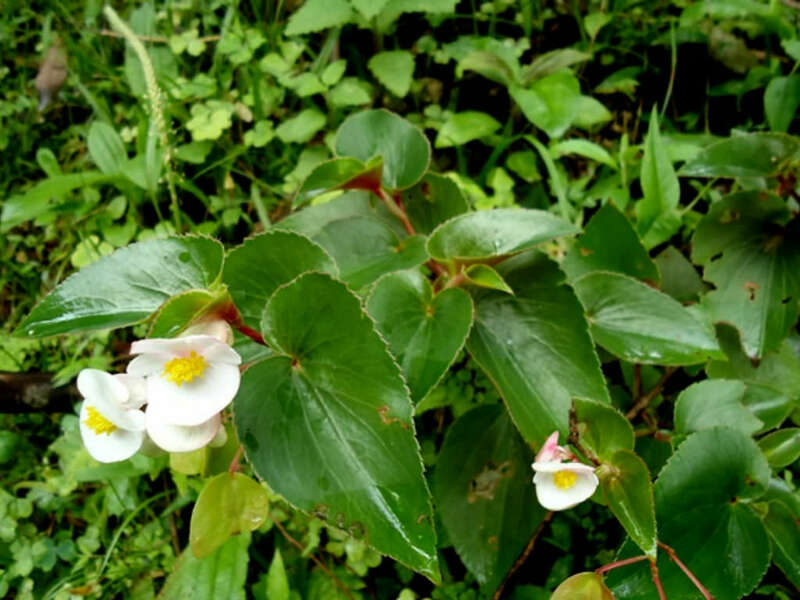 The leaves have scalloped edges and are cordate in shape. 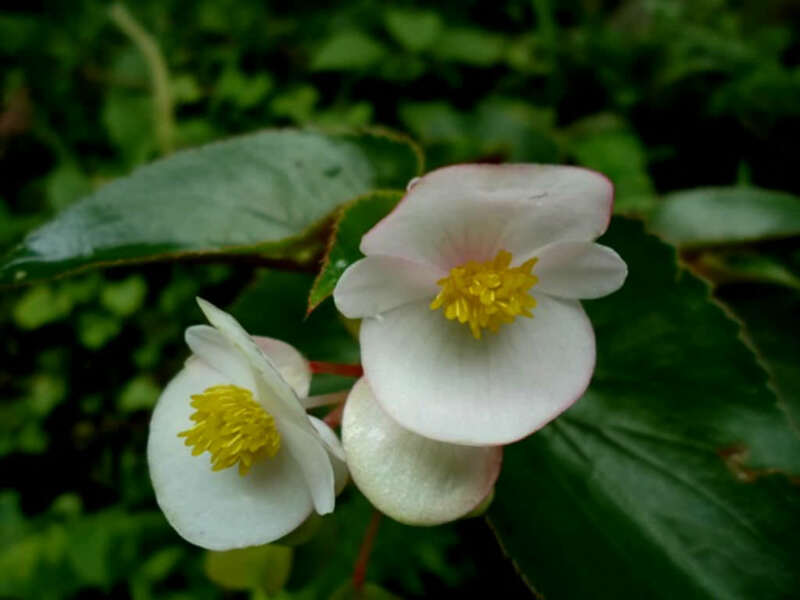 Flowers are white to pink and produced all summer. 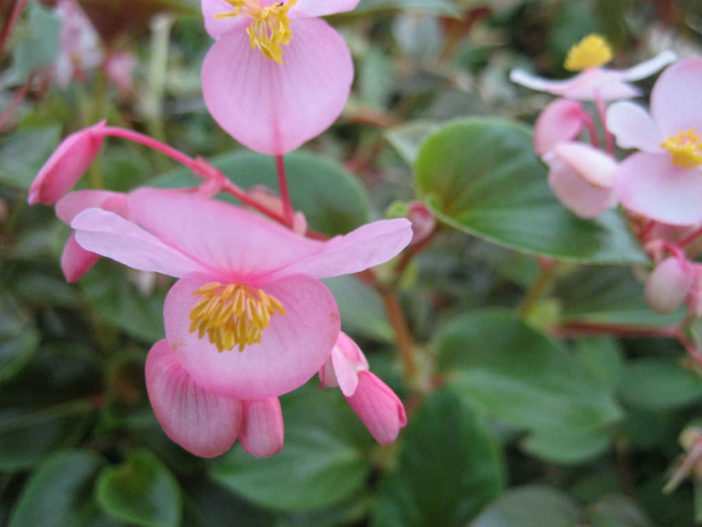 Very tiny, fine seeds are produced in great quantities.